In the sixties and seventies, Australian Peter Drouyn was one of the world’s greatest surfers. He pioneered an aggressive approach called “power surfing,” introduced the man-on-man competition format, and charged giant waves in Hawaii. A Zelig figure, he took on many roles—method actor, surf resort owner, modeling school founder, and lawyer to name but a few. For nearly the past decade, Peter has been living as a woman, Westerly Windina, a complex, aspiring entertainer. 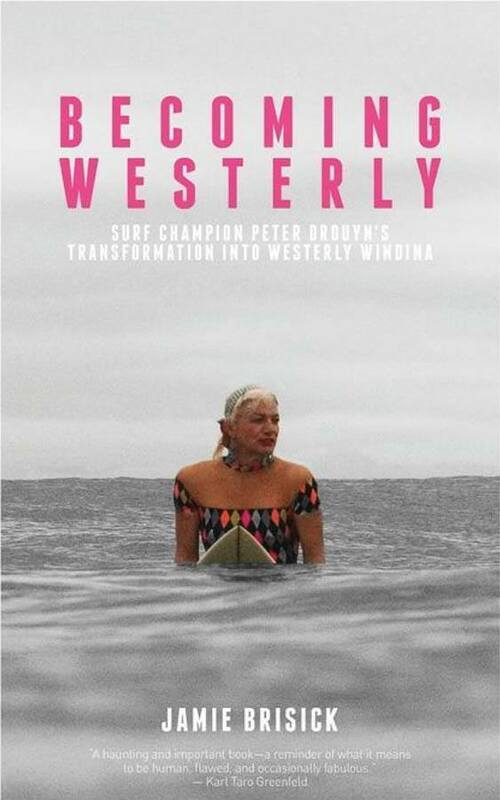 Beginning with her 2012 trip to Bangkok for gender reassignment surgery, BECOMING WESTERLY traces Peter Drouyn’s odyssey from teenage Queensland hopeful to 1960s surf champion to embittered has-been who struggles to rise again as the glamorous, sixty-four-year-old Westerly. Surf journalist Jamie Brisick provides an intimate exploration of global surf culture—a nuanced portrait of Peter/Westerly and the world that shaped her evolving identity.